Residential building Kateřinky AB, which is part of the residential complex Na Křtině, is located in Prague 11 - Újezd u Průhonic, in the street Na Křtině. It is a quiet residential area in the immediate vicinity of the protected area Milíčovský les (Milíčovský forest), which offers space for relaxation, sport activities and is also perfect for walks in the countryside. This place is also connected by a pleasant footpath through the Milíčovský les and along the creek Botič with the park in Průhonice. Nearby is also a water reservoir Hostivař. This location is also very easily accessible by public transport and with good civic amenities. Metro C station Háje is within walking distance of approximately 20 minutes. The new building is located close to the kindergarten, primary school, secondary school, health center, shopping centers and sports facilities. For this advantage, these apartments are suitable for families with children. The proposed four-story building AB has two separate entrances, they are two separate buildings A and B in the above-ground part, which are connected on the basement level by a conjoint storey in which there are garages and cellars. The proposed four-storey building has 32 apartments. There are 16 apartments in part A and 16 apartments in part B. Part B on the southern side of the building has a receding storeys that create apartments with large terraces facing the South and overlooking the Milíčovský forest. Ground-floor apartments include gardens. They are raised in relation with the surrounding terrain and streets, and therefore this is achieved privacy in the gardens. The supporting walls of gardens are elegantly designed as gabion walls made of natural stone. The upper parts of these walls are finished with trellis, which will be covered with climbing plants. 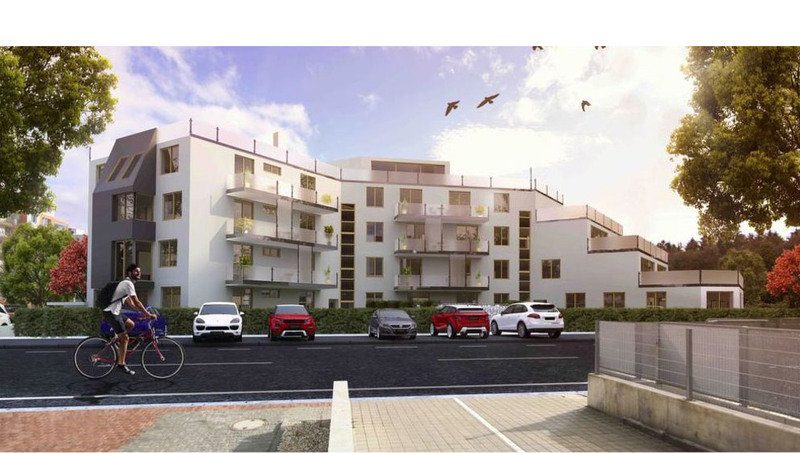 Green areas on the ground floor will include landscaping, grass sowing and planting of bushes for green fences and planting of climbing plants for trellis of gabion walls. These plants will create a natural barrier and increase the feeling of privacy in individual gardens. On the fourth floor of Part A, there are 2 large maisonettes. Each apartment has a winter garden and a large roof terrace on the 5th floor / on the roof of the building. The roof terrace is designed as a green roof. As part of the project this green roof area will be grassed and equipped with automatic irrigation. Naturally in both parts of the building are lifts and for each apartment is allocated a cellar and a parking space in the basement of the building. The construction of object AB began 1.7.2016. When the reinforced concrete skeleton was completed there was a pause in the construction due to work on another project. The construction restarted in April 2018. The expected completion date of the building is 08-09 / 2019, the contractual term of completion is 31.12.2019.